What are special links and protocol handlers? 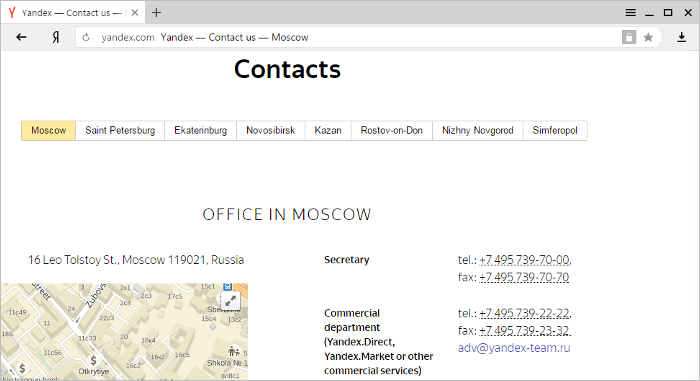 How do I set Yandex.Mail as the mailto protocol handler? 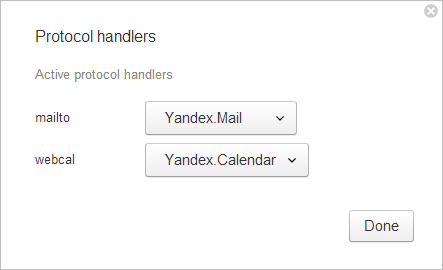 How do I set Yandex.Calendar for handling the webcal protocol? How do I prohibit protocol handling? Special links are links that open certain programs. For example, when you click a link with an email address, it launches a mail program and creates a message to this address. Protocol handlers are programs or web services that open when you click special links. 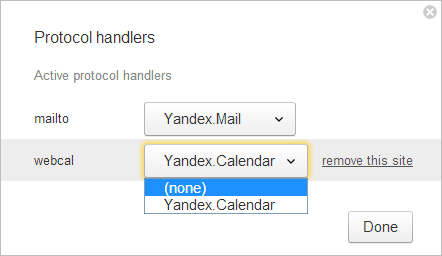 You can set the default web service for email and calendars in the Yandex Browser settings. Note. If you have not assigned web handlers yourself, special links are handled by the program that is set on your computer as the default program for email and calendars. Log into your account in Yandex.Mail. Set the option to Allow. 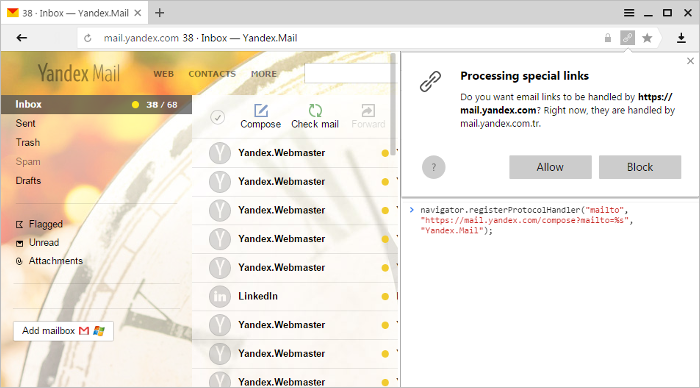 If the Mail extension is enabled, mail links will open in Yandex.Mail. 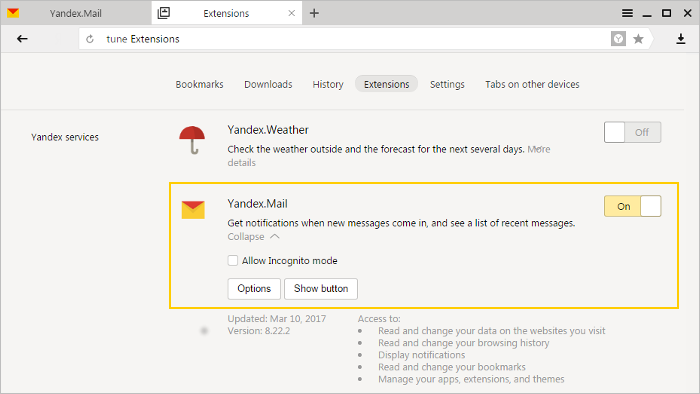 In the Yandex services section, enable the Mail extension. Confirm by clicking Allow in the dialog window that opens. 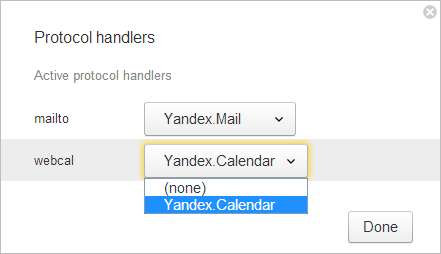 Go to the Yandex.Calendar page. In the Handlers section, click Manage handlers. All the assigned protocol handlers are listed in the open Protocol Handlers window. Expand the drop-down list and select one of the installed handlers. Disable the selected protocol handler. Open the drop-down list and select the option (none). Select a service from the list and click the link remove this site. In the Handlers section, select Do not allow any site to handle protocols. On the right side of the SmartBox, click Share → Send via email. A new email opens with an embedded link to the page. Enter your recipient's email address and send the email. 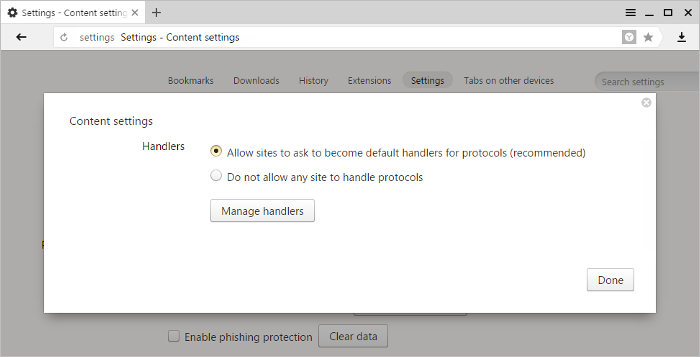 In the Handlers section, the Allow sites to ask to become default handlers for protocols (recommended) option should be enabled. In the Handlers section, click Manage handlers. The handler should be specified next to the mailto protocol.